A very big no for cream blushers. I have been avoiding cream blushers due to a mess it creates while applying it on. 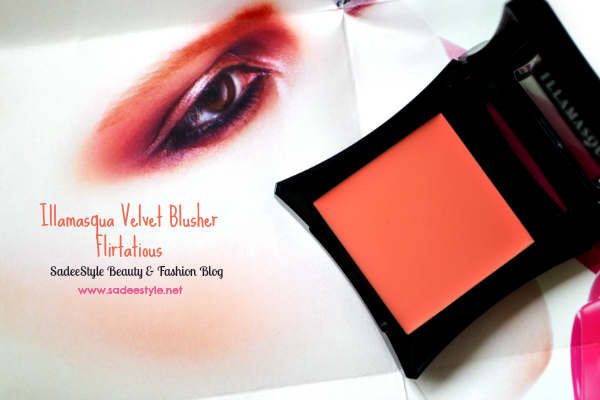 Illamaqua released new velvet blusher flirtatious. 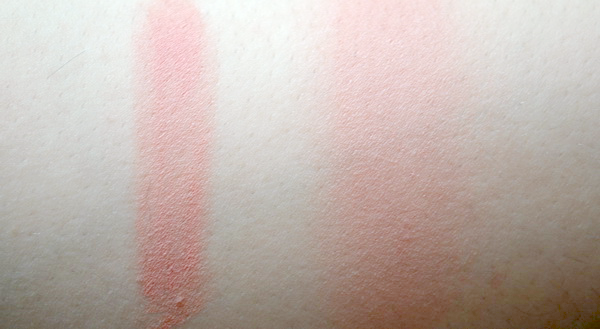 A lovely pinkish peachy shade which settle peach to coral finish depend upon application. A velvet blusher consistency is quite unique and something different, first I thought that it's a regular cream blusher since illamasqua named it velvet blusher so consistency is going to be really different. The formula in compact feel smooth and creamy, but firm on touch. It amazingly settles to a matte finish when putting it on. Texture is creamy to powdery and specially designed to work on oily skin . 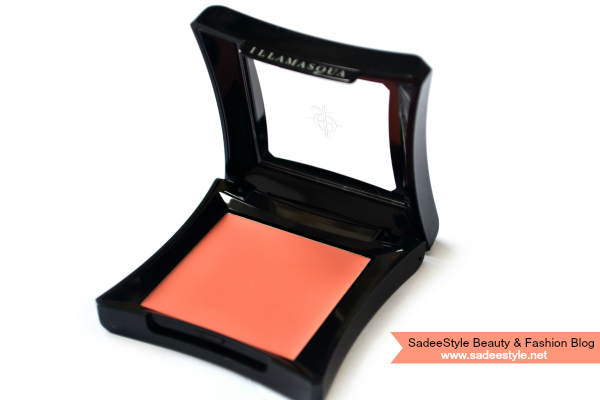 Illamasqua always amaze me with their glorious packaging, great quality sleek compact gives it a very professional look. At first I thought that its a regular cream blush but as illamasqua named it velvet blush so I had a feeling that its defiantly going to be something different from regular cream blushers and illamasqua proved it with releasing a velvet blusher. Flirtatious is something between pink and coral but more on warm peach shade in compact which settle very soft peachy on cheeks. The consistency is quite unique and different. It feels smooth and creamy, but firm when touch with finger and surprisingly settle matte as soon as you blend it on cheeks. It's supposedly meant for oily skin and not very ideal for dry skin like me. However, colour is so beautiful even in compact and on cheeks but I found it very difficult to apply because it dries out immediately and hard to blend. In first I applied it with Sigma Synthetic Precision Kit 4 Brushes it started fading once I tried to blend it. Then I applied it using my fingers and tapped it on my cheeks with finger it work best when applied with tapping method and give more prominent application. Remember unnecessary blending will fade the colour up. Work wonder with oily skin. You may find it difficult to apply on dry skin. It meant for oily skin to stay long, however I have a dry skin so I'm not very impressed, but heard a many good reviews from the girls with oily skin. If you have oily skin and looking for a blusher which stay so long so go for it. Illamasqua will not let you down. Sadee nice review. I love this color blush. It will go good on my oily skin. Beautiful color. But might apply patchy on dry skin.